I learned a valuable lesson last week: stick to the wines that I know. I went and bought a cheaper Bordeaux the other day to give it a shot. I usually stay away from Bordeaux's because it's cost prohibitive. But I found a cheaper bottle and decided to get it. It was horrible. Undrinkable. A corollary to that lesson, is that I need to learn more about other types of wines so that this doesn't happen again. Hence, the 21st Annual Boston Wine Expo. Boston's best-loved wine event is bigger, bolder and better than ever. Get ready for a weeklong celebration of the world's most popular wine-growing regions. Beginning Monday January 16th, wineries will host exclusive Vintner Dinners at some of the city’s most enticing restaurants. Many local favorite restaurants will provide the opportunity for guests to taste creative pairings of food and wine as they learn about each. Saturday and Sunday’s Grand Tasting features wines from four regions of the world, as well as food and wine pairings from more than 40 restaurants. Ticket admission covers all wine and food samples, and allows consumers to enjoy two Chef Stages showcasing demonstrations from celebrity chefs including Christopher Coombs of Deuxave, Antonio Bettencourt of 62 on Wharf, Vittorio Ettore of Bistro 5 and Patricia Yeo of Om Restaurant & Lounge. A local farmer’s market and Cyber Café will feature live tweeting and attendee polling of the wines available at the Expo. 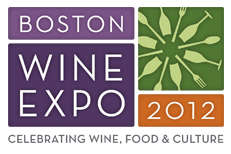 0 Response to "21st Annual Boston Wine Expo"